MSC Cruise discounts and deals for use when choosing relaxing cruises. MSC Cruises is a Swiss based and privately owned cruise holiday provider. They offer all year round cruises to the Caribbean and across the Mediterranean ocean. 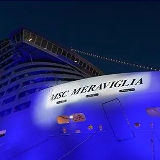 Other popular destinations include northern Europe, Atlantic cruises and to faraway places such as Cuba, South America, the far east and Asia. Terms & Conditions: Price is per adult and inclusive of port taxes. The per person service charge is not included. Promotions are the name of the game at MSC Cruises UK. The website is certainly focused on pushing the affordability element of the cruise offerings with the top half of the homepage dedicated in tempting customers with the low cost deals. You can pick cruises by departure date, destination and departure port to tailor a break for you and your family. From the plan and book menu link there’s an extended form that allows users to choose further options to narrow down your search such as the number of nights stay, cabin type and even the cruise ship. If you would rather book in person the contact details are readily available on the top of the homepage where you will find the full contact telephone number and the office opening times. If you prefer to email the there’s a link right under the phone details. The fleet of passenger ships are certainly impressive and I never thought MSC operated so many cruise liners. You can find the full fleet by hovering over the ‘discover MSC’ menu tab clicking on the ‘our. ‘fleet link’. From here you can also find out about life on board, children and adult entertainment, the staff and the various excursions laid on during your planned cruise. MSC Cruises are ABTA registered for customer peace of mind. If you prefer to do your searching from a Smartphone then there are readily available App’s that can be downloaded for free from the Apple App Store or Google Play. For the social types there are lots of social pages to choose from such as Facebook and Twitter to keep in touch with all the latest news, MSC Cruise discounts. Travellers can even get a military discount available for all service men and women. The footer menu is the place to find the necessary things such as terms and conditions, you passenger rights, price information, privacy information and media news. To summarise, the MSC site caters well for the user and does not seem to hide away the best savings and makes them very visible to users. All in all a good user experience with a well functioning website.